Lately I have been trying to spend some extra time keeping the 510 in one piece. I usually just beat the crap out of it until something breaks and then fix it or even better just half assed bandage back together to keep it running. Lately I have replaced the alternator, starter, starter again because the one rebuilt one I picked up from autozone was the wrong starter and died in a month or so, warranty replaced that one and the now the correct one is on. 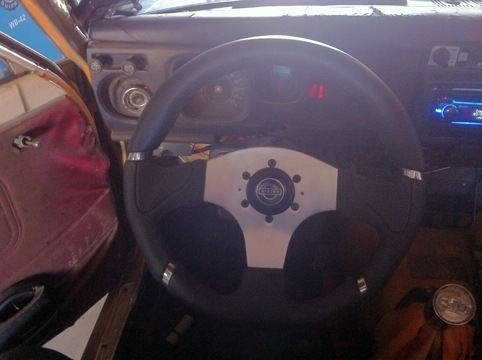 Finally ordered a steering wheel hub since the stock wheel had become just a metal ring since all the plastic had dried up and fell off. 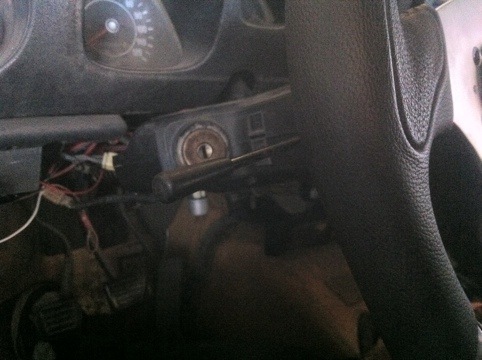 I’ve also had a turn signal switch since just after I started driving the car to replace the broken stalk so when I replaced the wheel I finally replaced the switch. All was good until the drivers side window stopped rolling down, it didn’t bother me too much till it started warming up again and I had to drive around with the window up. So I took the regulator out and lubed it all up. Well now it works great super smooth up and down. But it won’t stay up! 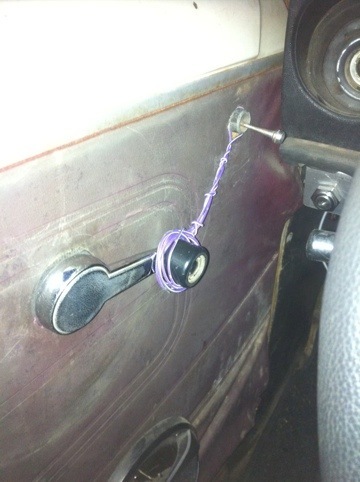 So I had to rig up a steering stop so I could lock up the car tonight. Always 1 step forward and 2 steps backward! ~ by B. Rogers on February 22, 2012.